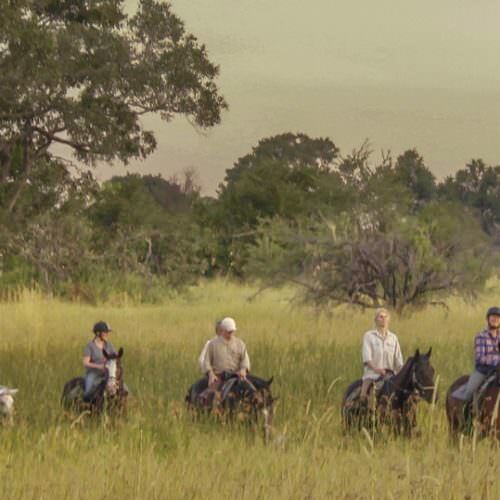 A horseback safari in Botswana is considered by many to be the ultimate riding safari holiday, offering abundant and varied game, extremely experienced and knowledgeable guides and well-schooled, responsive horses; all in an exceptional setting. 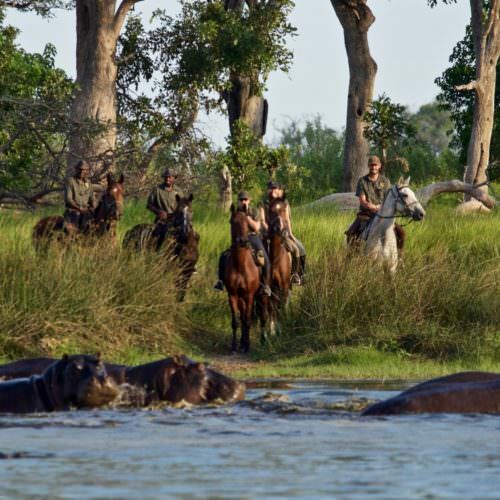 Historically the Okavango Delta has been the main area for horseback safaris in Botswana and there is now a choice of three luxury tented camps all offering superb quality horses, guiding and game viewing, PLUS a unique mobile tented camp that moves on each night on a journey through the Delta. 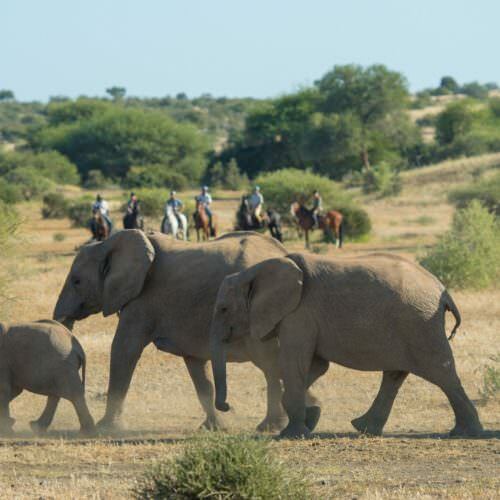 The wildlife viewing, weather and riding differ hugely depending on the time of year and it can be difficult to decide between the options, so please call or email us. Our specialists have visited and ridden extensively in the Delta and they will be pleased to give you their expert impartial advice. 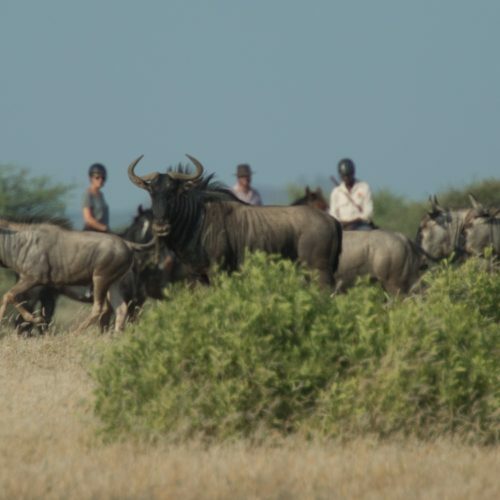 As well as the Okavango Delta there are now riding safaris based in the Makgadikgadi pans and in the south east of the country on the Mashatu Reserve in the Tuli Block. 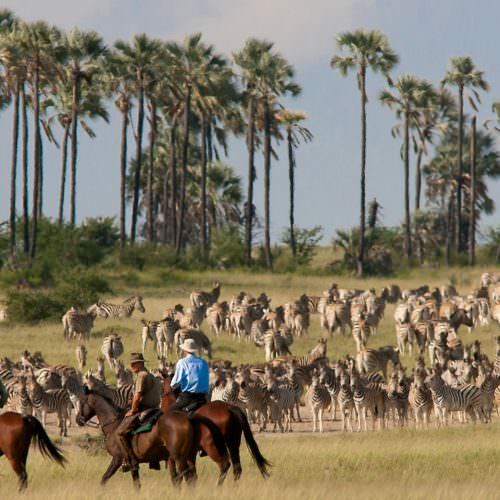 The landscape and wildlife of the Makgadikgadi is unique and makes a fascinating experience on it's own or it can be combined with one of the horseback safaris in the Delta. 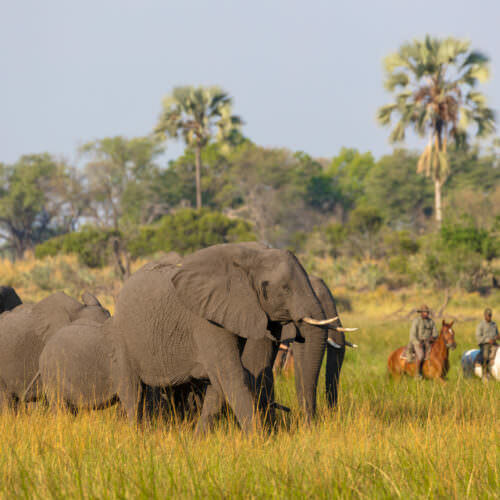 The Tuli Block safaris equal those in the Okavango Delta in terms of wildlife, guiding and quality of horses, but the terrain is quite different and the camps are not as luxurious so they are ideal if budget is a significant factor.